SQL Server on Linux Series: Why? As you all have heard, Microsoft is supporting Linux as a supported operating system for the next version of SQL Server (recently announced to be version 2017). Didn’t Steve Ballmer call Linux a “cancer” a while back? Times change. Companies change. Technologies change. It’s how I named my company. Today’s Microsoft is a new Microsoft. Ballmer is not in charge. Satya Nadella is now CEO of Microsoft, and he’s letting the technology drive the company. And drive it is. They are listening to the world with an openness to non-Microsoft technologies in a way that I’ve never imagined. It is helping me bring back some of my system administration roots. I was such a geek in grade school that I was compiling Slackware Linux kernels when I was in middle school. It wasn’t until high school that I started exploring Windows server administration. This announcement is bringing back some great memories while exploring the possibilities of this new platform for my DMBS of choice. Microsoft has listened to the technical communities around the world, and the world wants cross-platform. The world wants choice. And they’re making it happen. First and foremost (IMHO), Microsoft wants to appeal to developers. They want their development stack to run anywhere there are developers. Notably, Microsoft just released Visual Studio 2017 for Mac on May 10th! Many developers out there run on non-Microsoft workstations, notably Apple computers. Apple’s OSX operating system is originally derived from the FreeBSD operating system. FreeBSD and other *BSD operating systems share much in common with Linux. So, if you can make SQL Server work on the Apple, you’ve probably made it work on Linux. Arguably, covering these two platforms nails just about every widely adopted development platform out there. Microsoft also wants to appeal to a broader customer base, which means exploring the other environments that software runs on. 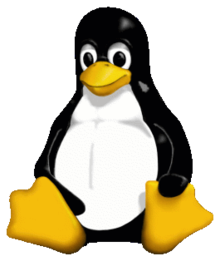 An exceptionally high number of the world’s servers are powered by Linux. It’s lean, mean, stable, and powerful. Lots of shops refuse to run a Windows-based server because of a number of reasons, including that their in-house IT staff only have Linux knowledge. These same shops are most likely pressured to run a SQL Server for various applications. I know a number of third-party vended application that require a SQL Server, and previously if an organization dictated no Windows-based servers, that meant that this application would never be adopted in the organization, no matter how well it would function. By appealing to these customer bases, they can now facilitate greater opportunities to migrate other DBMS workloads to SQL Server, and largely Oracle. Organizations can now migrate from these DBMS systems to SQL Server but keep the operating system the same (or at least similar). It’s another jab at Oracle. You can run Oracle on Windows. Now you can run SQL Server on Linux! Another bonus benefit of having native Linux support is that it can now run in a container. Containers are in some ways the next generation of virtualization. Containers allow you to package an application and all its dependencies into a bundle that can be easily transported. You no longer have to worry about the operating system itself, and it makes your application a lot smaller and even more portable. Finally, Linux is a fantastic cloud platform. The footprint of the Linux kernel and it’s runtime dependencies is absolutely tiny compared to other operating systems. The performance overhead is minimal, and the space consumed is small. For hosting environments or larger scale-out SQL Server farms, the resource consumption savings could be significant. This list is in no way exhaustive, and I could ramble on with more ways that fit this list, but I don’t want to bore anyone. The target audiences are quite diverse as well. Software developers are a no-brainer with this. Small businesses trying to keep their software licensing costs to a minimum are sure to be attracted to this offering. New startup software businesses with Linux-oriented development platforms can leverage SQL Server. Enterprises and hosting providers can save on Microsoft Windows licensing. Microsoft is so committed to this strategy that they are now a Platinum member of the Linux Foundation. Microsoft has released the open source .NET Core. Ubuntu now runs on Windows. HDInsight was recently released with Linux support. R Server can run on Linux. PowerShell is open sourced and on Linux! As you can tell, I’m excited. You might not be running out to replace your servers today, but what this new release provides is monumental. I cannot possibly convey here how elated I am at this complete shift in Microsoft’s direction. I think (I hope!) this is not the last time we’ll see this platform expansion for other Microsoft products. Stay tuned for more SQL Server on Linux topics, such as how they did it, operating system selection, supportability, command line basics, OS similarities and differences, SQL Server installation, and then moving on to more advanced topics such as how to configure multiple disks to spread out your SQL Server storage workload footprint and back up to the usual network share. This post originally appeared at DavidKlee.net.